Today, we'd like to shine the spotlight on some fantastic projects that have caught our attention in another edition of You've Been Spotted. Sit a spell and get ready to ooooooh and aaaaah over some of the cool cards we've noticed recently. I spotted this gorgeous card by Geri as an entry for our Primary Colors class from MFT Summer School Session Two. 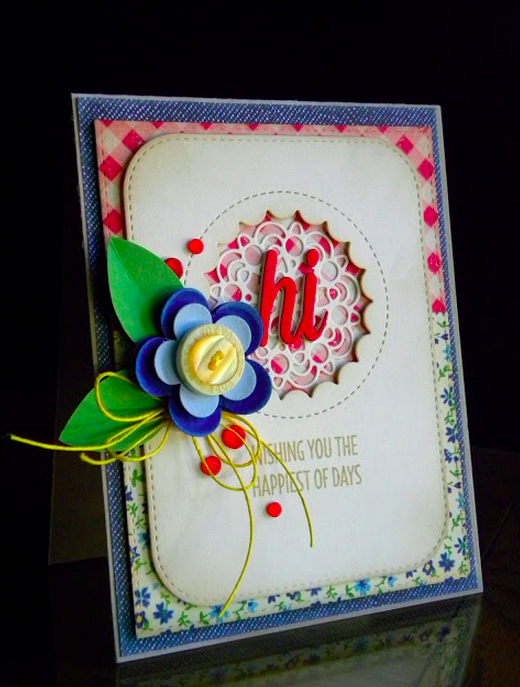 Geri made use of several MFT Die-namics (Stitched Rounded Rectangle STAX, Blueprints 22, Happy Hellos, Peek-a-boo Circles, and Mini Delicate Doilies) to create her pretty layered card. Design Team Member Teri Anderson spotted Debra's card on Instagram. Debra had fun combining images from the Penguins in Paradise and Birthday Bears stamp sets. Teri loved the fun scene that Debra created! Our MFT Social Media Maven Erica Hernandez spotted Anja's STUNNING card as an entry for Summer School's Gallon/Quart/Pint lesson. 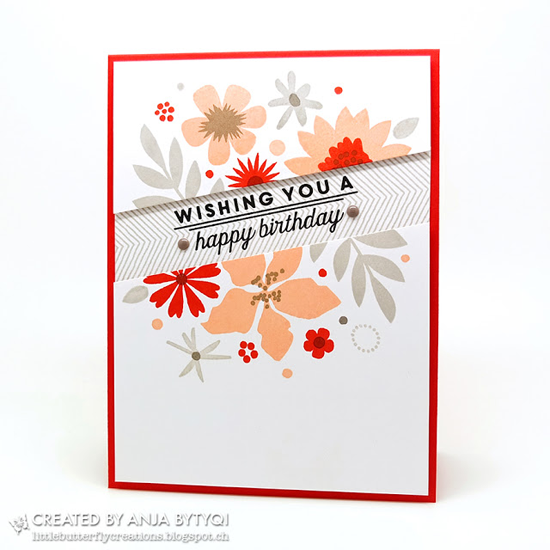 Her use of the Modern Blooms stamp set it absolutely delicious. Challenge Team member Jill Dewey Hawkins spotted this cutie pie creation by Lori as an entry for the Primary Colors lesson in Summer School Session Two. Jill says, "Loving the simplicity and that Lori applied Summer School's Primary lesson, too!" Design Team Member Kay Miller found this super cuteness from Christine. 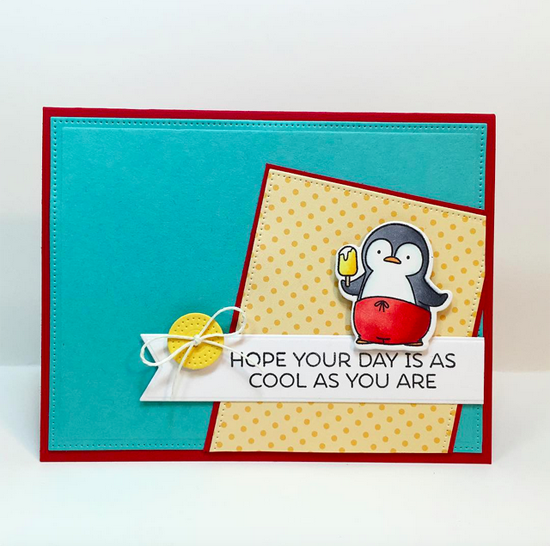 Christine's friends convinced her that she NEEDED the You Gnome Me stamp set, and she created this card for Color Challenge 26. 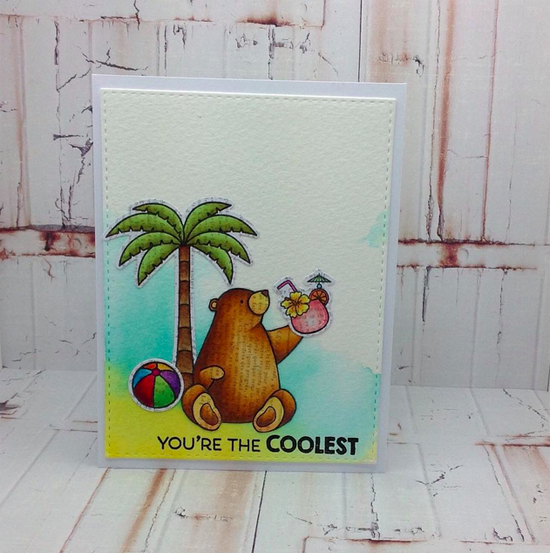 Kay says, "I love everything about this card by Christine, from the beautiful colors to the strips of paper in the background and the amazing coloring!" See you tomorrow for the next Sketch Challenge, and look for a new MFT Color Challenge on Thursday, August 13th! Thank you so much for spotting my card once again! I feel really honored to be showcased with these pretty cards from the other ladies! Anja's card blows me away, i love!!! Aww, thank you so much, Joscelyne!